Saudi Arabia recently announced it wants to go back to “moderate Islam,” and even became the first country to grant citizenship to a humanoid robot. RT looks at how ultra-conservatism is seemingly taking a backseat under a new Crown Prince. Mohammed bin Salman, often referred to as MbS, was officially appointed the heir of the Saudi throne in June. 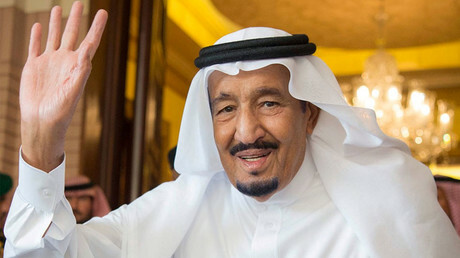 However, his political influence began long before the appointment as he is considered the main and most trusted adviser to his father, King Salman. He also held a number of key positions previously, including defense minister and chief of the Royal Court. The Crown Prince is said to be behind the latest internal reforms in Saudi Arabia, some representing almost a U-turn compared to the previous decades, shaped by the strict version of Sunni Islam in the country. The country, like some other Muslim states, has a body to enforce and secure the strict interpretation of Islamic law – the so-called ‘religious police.’ Formally known as the Commission for the Promotion of Virtue and Prevention of Vice (or the Mutaween force), it has been making headlines with some controversial cases. 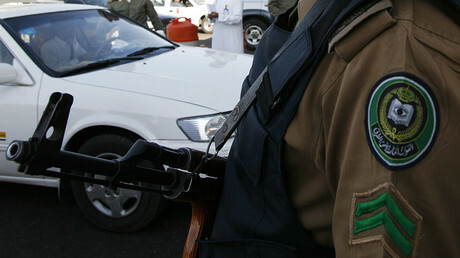 In February, several of its members allegedly assaulted a woman outside a shopping mall in Riyadh and were subsequently arrested. In 2013, two religious officers were also detained after their patrol car crashed into another vehicle during a chase which left two people dead. As the implementation of the measure has recently marked its one-year anniversary, Saudis took to social media to celebrate the event. Some of them said that this period proved that the force was not needed as nothing happened with their absence, according to Arab News, citing Saudi-based netizens. Women allowed to drive. What’s next? 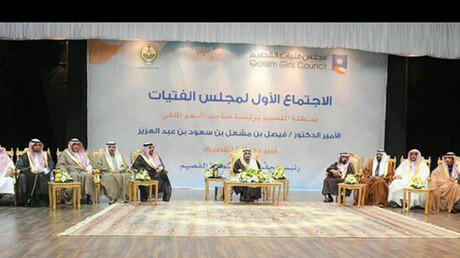 The kingdom is renowned for gender inequality and numerous restrictions on women. The ‘guardians,’ – represented by a husband, father, brother, or son – decide whether a woman can receive an education or take a job, undergo particular medical manipulations, get married, divorce, or even travel. Things have recently changed, however, with Riyadh issuing a decree ordering that women be allowed to drive. The ruling is expected to come into force early next year. Here, again, Cavell told RT that in his view, King Salman issued the order after being “persuaded” by the Crown Prince. The reform is a “major thing, because they [women] were forbidden to drive for years,” according to J. Michael Springmann, who served in the US government as a diplomat with the State Department’s Foreign Service. Earlier this year, women were also permitted to get state services without their ‘guardians’ permission, according to a royal decree. The news on the latest changes prompted even more ambitious reform expectations. This time going as far as to put the plug on the formal ban of movie theaters in Saudi Arabia. In a potentially spearheading move, the conservative state held a movie festival in the capital, Riyadh last week. Both men and women were allowed to attend, yet the visitors were segregated by gender. Even though most Saudis have TV sets, allowing movie theaters is unprecedented, according to Springmann. The analyst recalled that dancing and other entertainment gatherings were much concealed when he was younger, and people had to attend the event under high secrecy. The reforms of the entertainment sphere have been also part of the Vision 2030 plan, introduced by the Crown Prince. Vision 2030 allows the creation of “professionally organized amateur clubs’ to expand culture and entertainment options in the Kingdom by 2020,” according to Dr. Courtney Freer of LSE’s Middle East Center, which specializes on the analysis of the Middle East and North Africa. 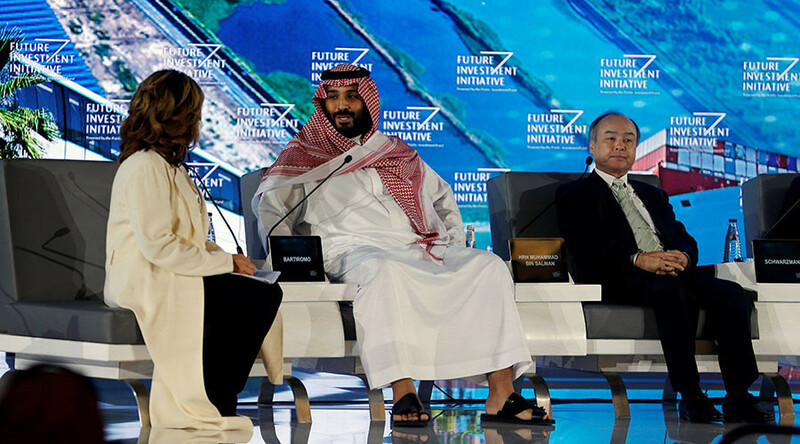 In late October, the Crown Prince made headlines as he promised to return Riyadh to “moderate Islam that is open to all religions and to the world.” He also stated that the country’s young generation is not going to “waste 30 years of our life combating extremist thoughts,” and promised their immediate destruction. This week, Saudi Arabia has become the first state in the world to officially become a home country for a robot – and what’s more, a female robot. Citizenship to the machine named Sophia the Humanoid, designed to look like Audrey Hepburn, has been granted. “This is historical to be the first robot in the world to be recognized with a citizenship,” Sophia, who was originally created for a Hong Kong company, commented. The reforms are popular among the young, who are seeing “their dreams come true” and that the prince “is leading the nation to the modern age,” according to Springmann. At the same time, there is opposition among some clerics and those who strongly support Wahhabism (an ultra-conservative branch of Islam widespread in Saudi Arabia). The ensuing changes have “to be gradual,” according to Springmann. “I’m not saying there won’t be any change,” he added, pointing out that in the 1940s, the radio was treated as the “work of the devil,” but then such opposition dropped. On the other hand, the emerging developments may be subsequently curbed, analyst Colin S. Cavell believes. “The mainstream media in the West have lauded the reforms of the Saudi Crown Prince, though the US government is quite aware that it is highly unlikely that MbS’s reforms will ever be fully implemented,” he told RT. What’s more, the reforms “in truth, are acts of desperation from a regime” which relies on “protection from both the USA and the UK.” London and Washington understand that the kingdom in its current form is doomed and are unwilling to lose “regional hegemonic control,” according to Cavell. However, despite all the recent breakthroughs and changes, Saudi Arabia remains among the counties with strict adherence to ultra-conservative norms of Islam, and with some of the most severe punishments for breaking both religious and criminal laws. It is among the world’s top five executioners, with at least 154 death sentences carried out in 2016, according to Amnesty International. Nearly 440 executions were carried out in under four years, international NGO Reprieve said in a 2017 report on Saudi Arabia. The country often sentences protesters and activists to death, and a large number of those executed are convicted of nonviolent crimes such as drug offenses, it said.